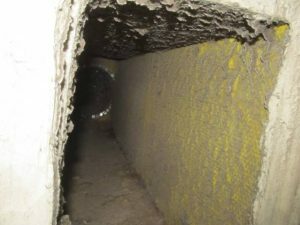 Mill Creek Environmental is offering Mold Inspection Services for consultation and analysis of residential and commercial properties in the North Georgia and Greater Atlanta areas. Air quality testing is imperative for the safety of your family members and employees, especially with the Georgia humidity in high moisture environments (bathrooms, basements, crawl spaces) that are prime mold growth areas for toxic mold spores. You can visually see mold growth. You need a pre-inspection for a property sale, included foreclosure properties. Most commonly there are allergic reactions to mold that can cause irritants. Symptoms include sneezing, runny nose, red eyes, skin rashes, etc. What is a typical mold inspection process? There are several different steps in the inspection process. First Mill Creek Environmental will conduct a history evaluation that includes a short interview with the property owner. ** Best inspection practices recommend that you do not use the same company to inspect as you do use for mold removal and remediation. If a company provides both inspection and removal services, it creates a potential conflict of interest that may not be in the best interest of the client. Yes, it is advised that once you have gone through the mold remediation process to have a follow up mold testing performed. This will ensure that the mold removal has been successful, and the source has been identified & removed. Why is Black Mold also known as Toxic Mold? Note that not all physically “black” mold is of the type that has the toxic Mycotoxins that most readers think of and fear from. However, there are serious health problems that can occur with the infestation and prolonged exposure to toxic black mold. 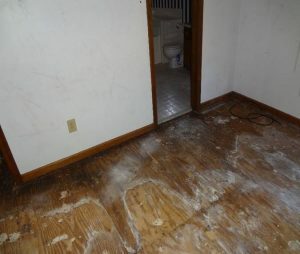 This type of Stachybotrys chartarum (black mold) can release spores that grow on common building materials (sub-flooring, carpet, drywall, insulation) and cause several respiratory problems or in severe cases vomiting, nose bleeds, and internal lung bleeding. Black mold is most commonly found in bathrooms, basements & crawlspaces where the moisture level is higher and tends to carry a musty odor. If you suspect any type of mold in your home or building, it is imperative that you have professional testing performed so appropriate actions can be taken if necessary. 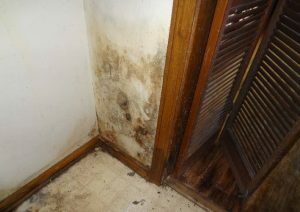 Rule of thumb is if you want to prevent mold, you must control the moisture and humidity levels in the home or building. This includes; proper ventilation and insulation of the structure, proper and timely clean-up from water leaks and flooding, and maintaining outside the residence or building (roof gutters, foundation, grading of landscaping).